From self-driving cars and IBM’s Watson to chess engines and AlphaGo, there is no shortage of news about machine learning, the field of artificial intelligence that studies how to make computers that can learn. Recently, parallel to these advances, scientists have started to ask how quantum devices and techniques might aid machine learning in the future. To date, much research in the emerging field of quantum machine learning has attacked choke points in ordinary machine learning tasks, focusing, for example, on how to use quantum computers to speed up image recognition. But Vedran Dunjko and Hans Briegel at the University of Innsbruck, in collaboration with JQI Fellow Jake Taylor, have taken a broader view. Rather than focusing on speeding up subroutines for specific tasks, the researchers have introduced an approach to quantum machine learning that unifies much of the prior work and extends it to problems that received little attention before. They also showed how to increase learning performance for a large group of problems. The research has been accepted for publication in Physical Review Letters. Many machine learning problems involve an agent—the program or device that is trying to learn—and an environment—the world that an agent explores as it learns. The machine learning community has paid particular attention to reinforcement learning, in which an agent interacts with its environment and learns how to behave through rewards and punishments. But such problems have not been widely studied when the agent and the environment obey the rules of quantum physics. The new work provides a Rosetta Stone that translates the language of reinforcement learning to the quantum realm. It tackles sticky questions like what it means for a quantum agent to learn and how the history of a quantum agent’s interaction with its environment can be captured in a meaningful way. 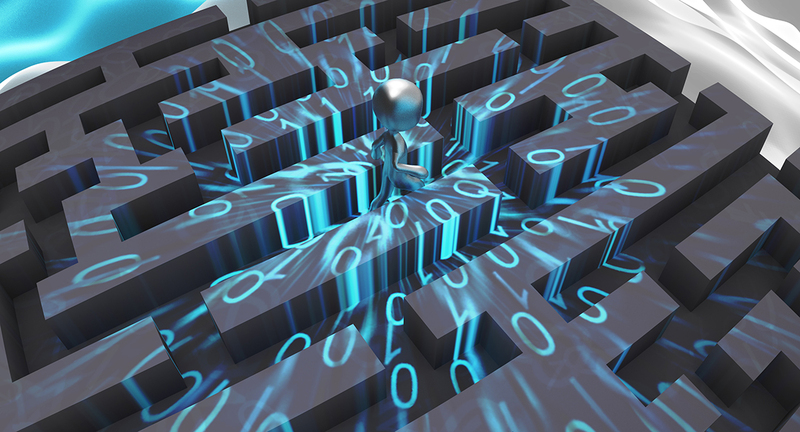 It also shows how a standard algorithm in the quantum toolkit can help agents learn faster in settings where an early stroke of luck can make a big difference—like when learning how to navigate a maze. Future research could investigate whether a quantum computer, with the added help of a quantum agent, could learn about its own noisy environment fast enough to change the way it reacts to errors. The work may also shed light on one of the deepest questions in physics: How does the everyday world arise from interactions that are, at the microscopic level, described by quantum mechanics? Studying how quantum agents interact with their quantum environments could add to the understanding of this lingering mystery. Quantum-enhanced machine learning. V. Dunjko, J. M. Taylor and H. J. Briegel, Physical Review Letters, to appear. arXiv: http://arxiv.org/abs/1507.08482.